Okta has released their fifth “Businesses @ Work” report for 2018 which includes a report on the most-used travel apps by business travelers. By using their customer data, Okta took a closer look at how travel apps assist in “bleisure” travel or travel that combines both business and leisure time. They broke down their findings in three categories: hotels/lodging, airlines and ground transportation. Okta’s report found that the Starwood Hotels’ app was the most popular hotel app in 2018, followed by Airbnb, which climbed from the number four spot last year, overtaking Marriott, Hilton and Hyatt which landed in third, fourth and fifth place. In their report, Okta infers that the Airbnb app's popularity in the business travel world is directly related to their partnership with Concur which encourages workers to share lodging and avoid costly hotel bills, as well as their “Airbnb For Work” function in the app. 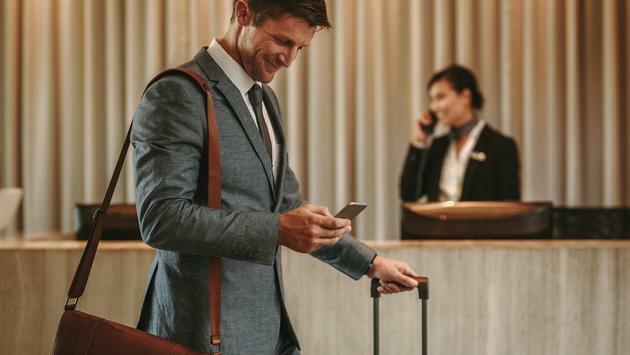 Despite the rise of the Airbnb travel app, it still appears that traditional hotel apps, especially the Marriott-branded hotel apps, were popular for business travelers in 2018. It will be interesting to see if Marriott’s data breach in 2018 and their combination of Marriott Rewards, The Ritz-Carlton Rewards and Starwood Preferred Guest under one app, the Marriott Bonvoy app on February 13, will affect how business travelers use the Marriott app in 2019. In terms of air travel, business travelers used Southwest Airlines’ app the most in 2018, beating United in second place, American Airlines in third and Delta in fourth place. Southwest Airlines’ app has held the top spot since 2016 which was previously held by United. American Airlines’ travel app has been steadily increasing in popularity for business travelers, beating out Delta’s travel app for third place in May 2018 and skyrocketing in popularity at the end of 2018. JetBlue’s travel app is slowly approaching the other airlines, and if its growth continues as it has been, the app should give other airlines apps a run for their money in 2019. Okta’s ground transportation app findings discovered that Uber, the popular rideshare app, was used most often by business travelers. (Surprisingly, Lyft was not included in Okta’s findings at all). Uber has long led the way for how travelers use apps for their mobility needs, so it makes sense that they came in first place, especially when you consider that they were the most expensed vendor for U.S. business travelers based on the number of transactions. Uber was followed by Avis’ travel app, then National Car Rental, Enterprise and Amtrak.